I love this time of the month, when I get to sew in comfort with my buddies, but I especially love this month and watching the winter Olympics, feet up on the recliner, sewing in my lap and kitten trying to ski down the slopes too! Gee I love these little guys....one was sleeping but this little boy (he's now nearly double the size of Mocha) was a bundle of energy....and then just dropped in front of the tv- one of his favourite places to be. Well, it beats them climbing all over me and trying to pull pins out of the pincushion and needles out of my stitching....they truly are little devils at times. 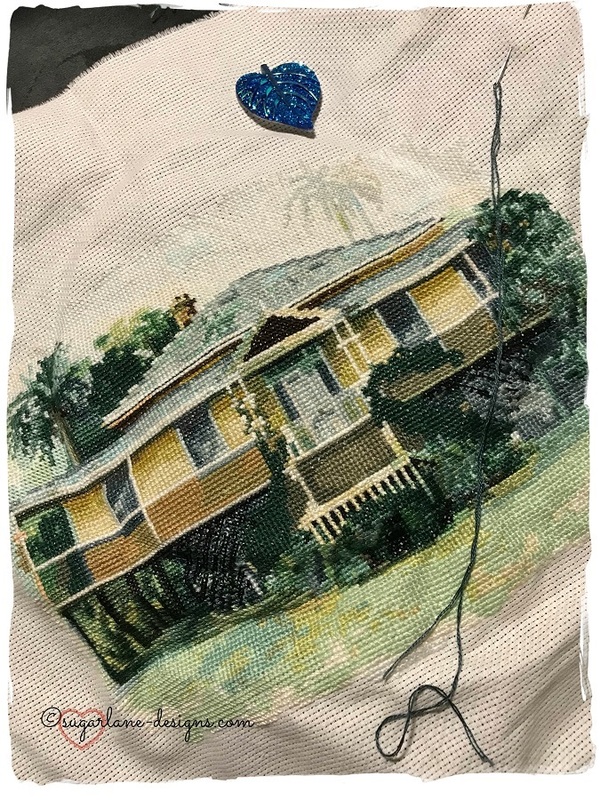 I did however, manage to finish the cross stitching part of my old Queenslander, and I'm pretty happy with it too. Now for the trickier part, adding all the backstitched detail.....I'm always worried I'll stuff it up, a bit like when you're quilting and you put off finishing the top and making it into a quilt because you worry you won't be able to do it justice (or is that just me?). I'll keep you posted with how I'm going with it...I'll be trying to get it done by the end of the month so I have a finish for OPAM. It's only 20-ish days till we fly to Brisbane for our annual LGS aka Let's Get Stitched weekend with these three wonderful designers - Dawn Hay, Fee Ransley and Joy Coey and I can't wait! Each year, we make a swap gift and a badge for two different people, one is a random 'lucky dip', the other is assigned. This year, our swap gift is a needlebook. I managed to get the stitchery for the front of the needlebook done on Friday night too and the needlebook itself will be made this week, followed by the badge. Our theme this year is 'tropical' so there's lots of ideas going through my head. I'll show some sneaky peeks when I've got something started. Nothing else to share at the moment...about to go and visit dad-in-law in the hospital so I must be off. 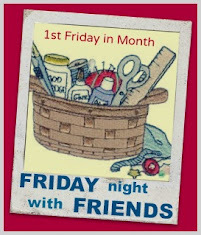 Don't forget to drop by to see what all the other Friday-nighters got up to....it always inspires me! LOL I understand about your cats stealing pins. My DD Burmese did the some when she was pinning a quilt..
Love your Queenslander and you'll do a great job of the backstitching I'm sure. Nice work on the needlecase. Enjoy your visit with FIL..
Beautiful work on your Queenslander, Wendy... the backstitch will bring it to life... don't fear it, just do it!! My little black kitty, years ago, used to like watching the skaters. When they'd go off camera, she'd go around the back of the tv to see where they'd gone. So cute! 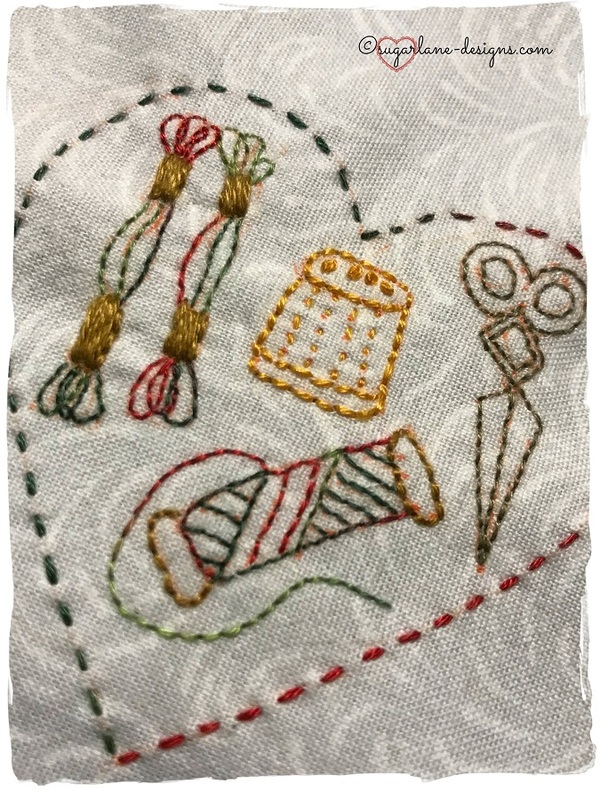 I love your x-stitching project, wow that is SO pretty, and yes I'm with you on worrying that I'll mess it up. I'm sure you'll do fine, Wendy-girl! Your needlebook cover is adorable, I hope you have a wonderful time at LGS!! Your cross stitch is absolutely stunning ... almost like tapestry! The back stitching will make everything stand out even more so beautifully! We've been enjoying the Olympics here too and it makes the perfect excuse for sewing even more than normal! Hahaha! My kitty doesn't pay attention to the TV at all but prefers sitting in my lap, impeding my stitching movements. Thank you again for being such a great hostess! You know I'm a sucker for old Queenslanders! Your stitching is doing justice to it! Exciting to be heading for a stitching weekend! Is it just the 4 of you? Did you say you were flying down there? Love the embroidery - have fun! Lovely cross stitch, the back stitching really brings it to life. It will be fabulous. Lovely needlecase too. Gorgeous cross stitch, love the Queenslander design. Hi Wendy... Is it FNSI tomorrow ??? ?